What is a Futon Bed? We're finding an increase in the number of people using a futon mattress as their everyday bed, either with the mattress directly on the floor or used in conjunction with a wood bed frame. So really the answer to the question, What is a Futon Bed, can really mean any way in which a futon mattress is utilised for everyday sleeping. But, for the purpose of our products we talk about Futon Beds as being a combination of wood frame and Futon Mattresses. Futon Bed Construction - what makes a good futon bed? The first point we would look for in a futon bed is good ventilation. Futon mattresses function best when air is allowed to circulate under them to keep them cool and fresh so pick a bed base which uses a slatted, like the picture, or perforated platform to allow this. If you are intending to put your futon mattress on a hard topped divan-style bed base we would recommend that it needs to be turned and rotated each week to keep it fresh. Metal or Wood? 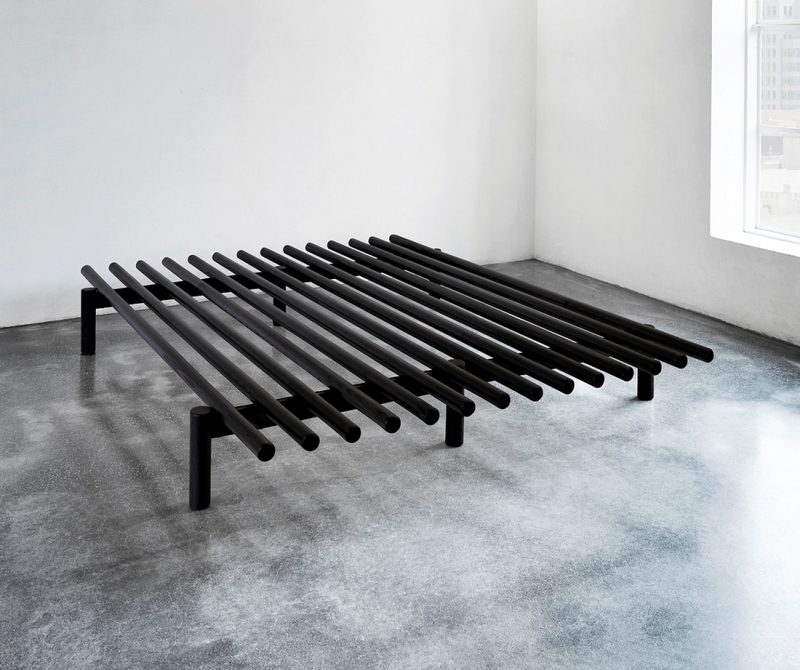 - the choice of metal or wood bed bases really comes down to personal taste, what is really important here is the slatting to the platform that the futon mattress actually rests on. If the slatting is a fixed pine or hardwood, as can be found on wood or metal bed frames, then this will do the job of supporting and ventilating your futon mattress well. If the slatting is the modern 'sprung slat' type, i.e. arched wood laminate slats in plastic caps, then these will also perform a good level of ventilation but will offer a softer sleep as they have a certain amount of give, or flexibility, to them. 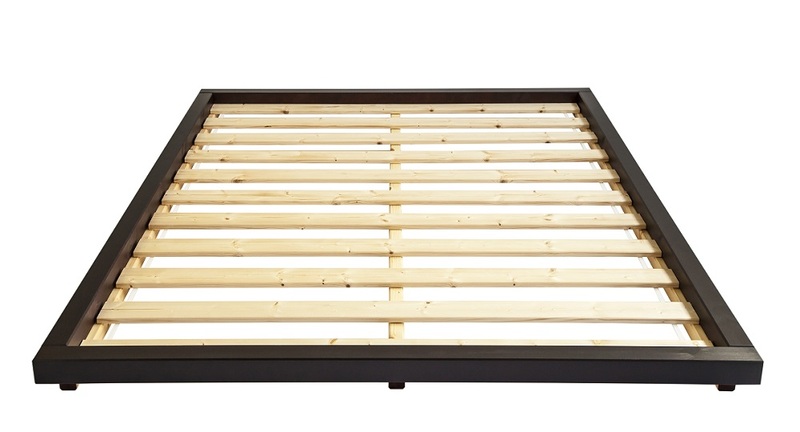 We would not recommend using bed bases that have metal poles being used for slatting as these do not offer a spread support for the futon mattress. What type of wood? should I choose - there is so much choice. Wood bed frames are available in many different types of timber. What we would look for is good quality, sustainable, woods that have made beds built to last, this may cost a little extra at the time you make the purchase but over the coming years you may find this was a wise choice. For us, here at the Futon Shop, we would look for strong mature timber like redwood pine's from Europe, Ash and Oak. The first thing to look for is how much the timber is jointed, i.e. parts of timber bonded together either in blocks or through finger (or comb) jointing, this is where smaller bits of timber are used to form larger pieces and, in our opinion, this is not a great idea if you want your bed to last! We've made it our policy here at the Futon Shop to try and source as many of our futon beds as possible from manufacturers based in Europe and the UK, this ensures support of local jobs and manufacturing both aspects that we feel are important. We also feel that from a quality perspective it is important to be able to track the materials and labour involved in the manufacture of our products. Our most popular bed designs are the Dock Futon Bed a low level, minimal style bed with optional traditional tatami mats and the contemporary looking Pace Bed with its distinctive round profile wood frame, all our styles are available with or without a choice of futon mattress products. Whatever your question please feel free to call us if you would like further help.